We’re more than one week into the 2012 London Olympics and I’ve been glued to all the action trying to catch as much of the Canadian team as I can. And as I watch all the broadcasts, it reminds me of all the times that I’ve spent in the wonderful city of London with great friends throughout the years. So the next few posts, I look back to some fond memories of London and some of the food adventures I’ve had in this great city. Most recently, last October, while visiting my good friend M who lived at the time in Brixton (South London), she booked afternoon at the Corinthia Hotel. 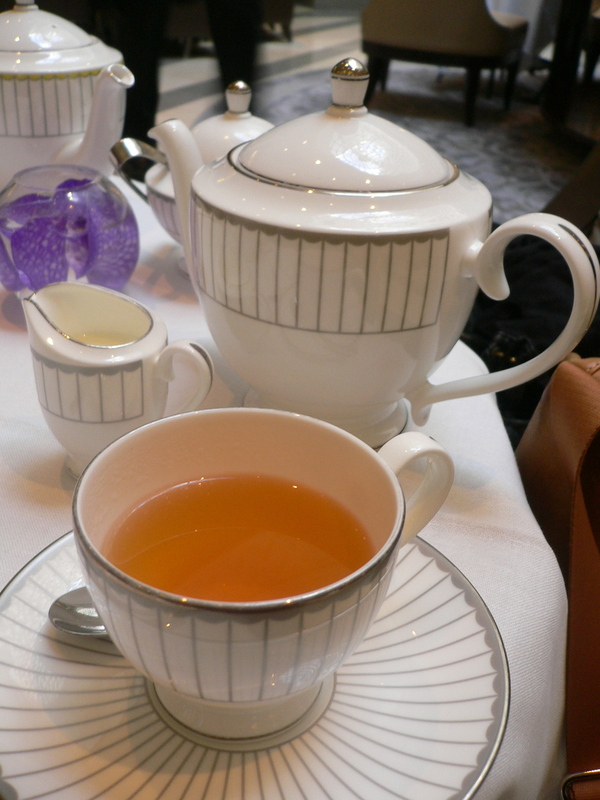 One of my favourite activities is afternoon tea and the one at the Corinthia Hotel was known as being one of the best in London with such an elegant surrounding and serene atmosphere. And what I love most about afternoon tea in London is the free “refills”! If you love the tea, the sandwiches or any of the scones and petit fours, you can always ask for more – and for the really service-oriented afternoon teas, they continuously come around and ask you! Its one of the things Brits do best! 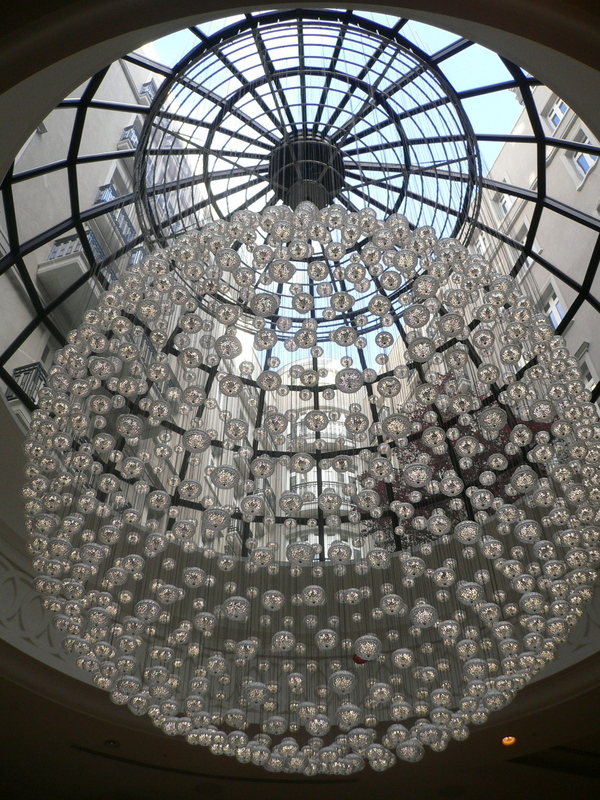 The Corinthia Hotel – having afternoon tea underneath the breathtaking Baccarat Chandelier in the Lobby Lounge of the hotel! 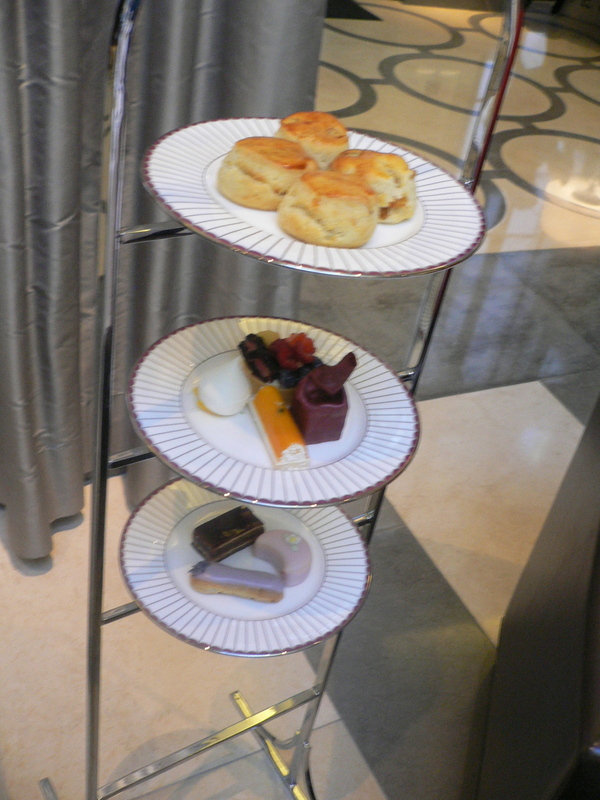 Corinthia Hotel afternoon tea – scones and petit fours, love the floor stand! It leaves so much room on the table. 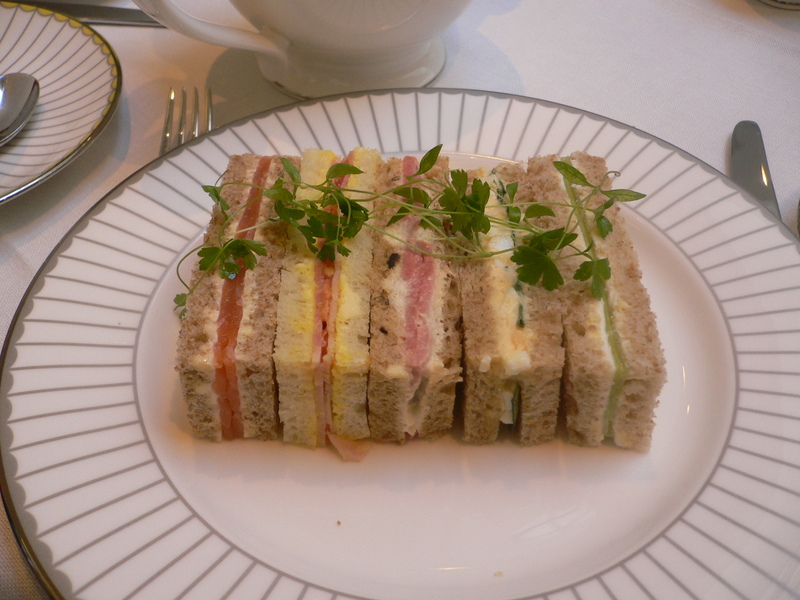 Tea sandwiches – smoked salmon, cucumber, ham and egg and watercress. The egg/watercress sandwich was the most delicious! 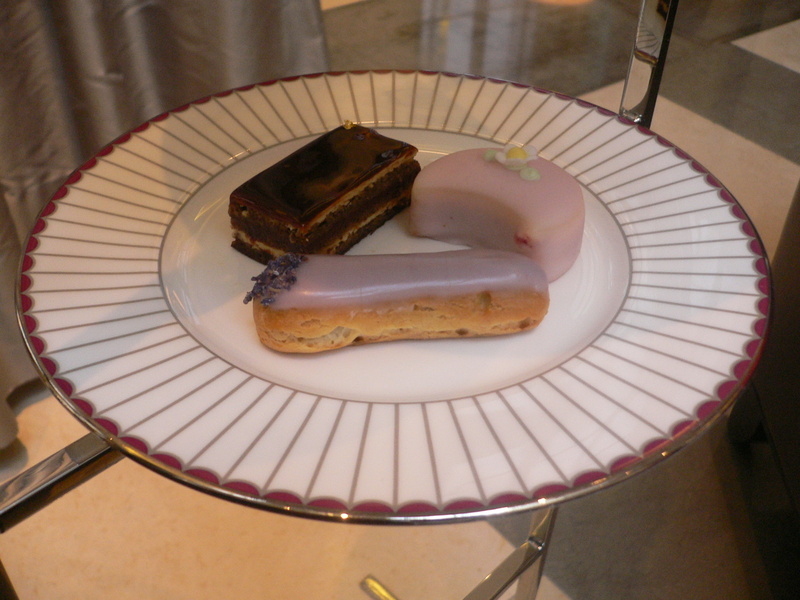 Petit Fours – the Violet eclair was by far my most favourite of the assortment, floral but not too sweet! 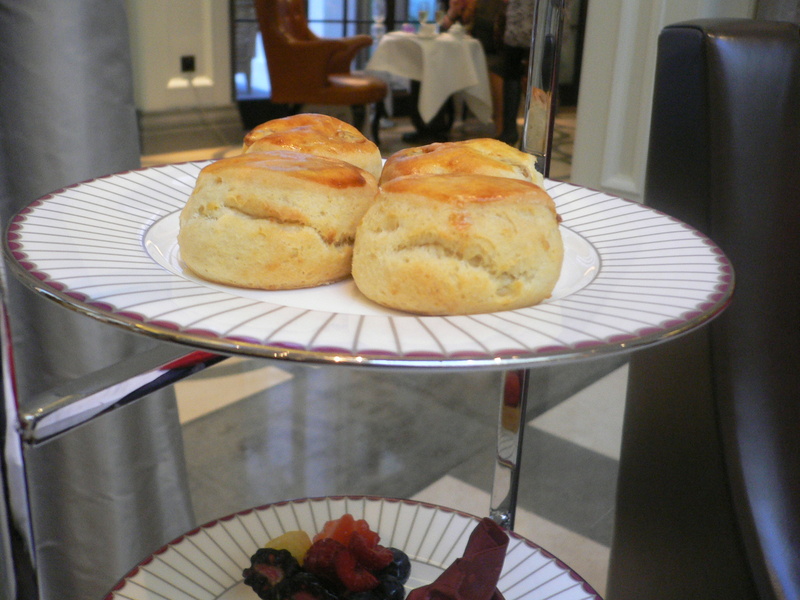 Scones – the highlight of the afternoon, flakey scones! 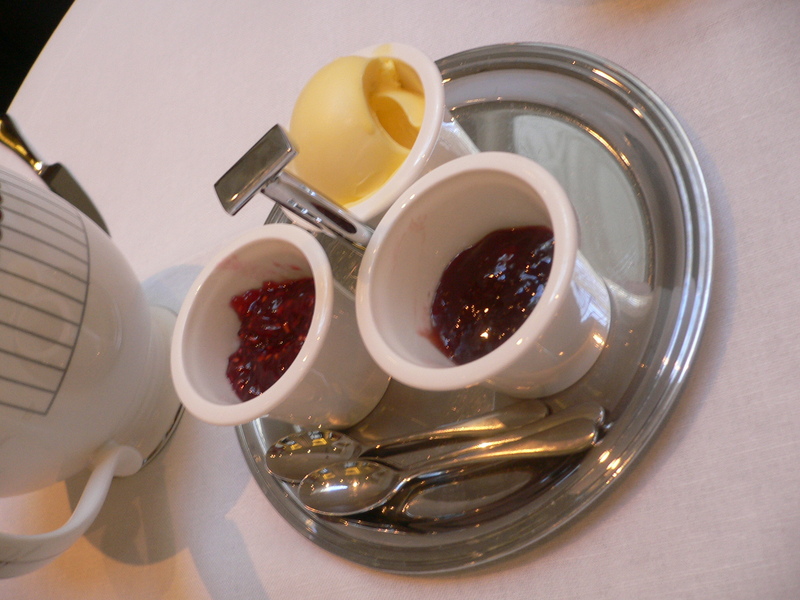 Clotted cream, raspberry and strawberry preserves! Japan 2012 – Family Is Everything! Good times! When are you coming back Christine? Marion! I want to go back so bad! Especially now watching all the olympic action! We must catch up!! !